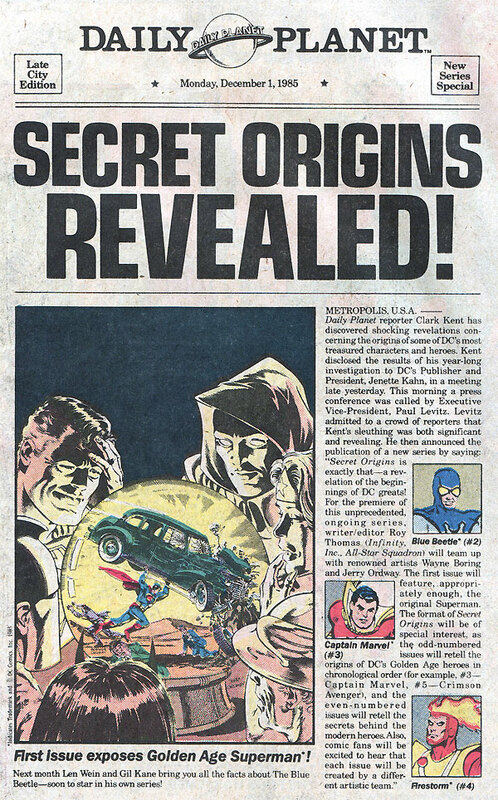 Secret Origins was a fantastic series that started back in 1986. This particular ad appeared in comics that were cover-dated April 1986 and was cleverly dressed to look like the front page of the Daily Planet. Check out Firestorm in the bottom right-hand corner. He was featured early on in the Secret Origins series thanks to his popularity at the time. Posted in: Advertisements, Firestorm #01: Original (Ronnie/Martin).